4k00:25Businessman sitting in the car driving and fun singing your favorite song. 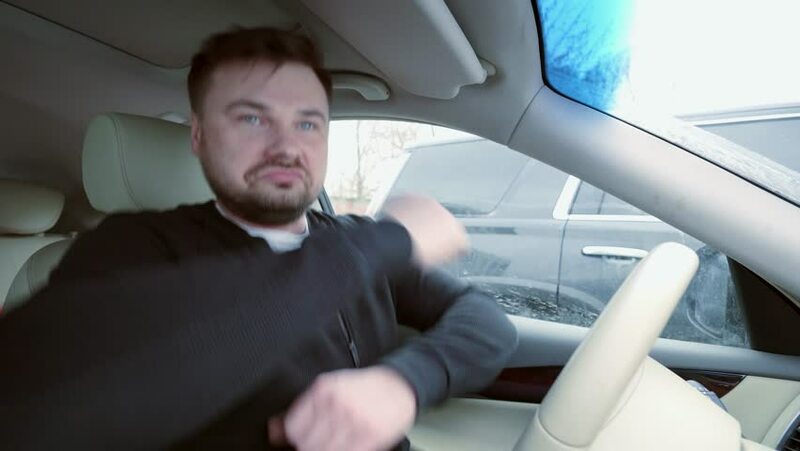 4k00:27Stylish man in a black jumper in the car business class dancing and singing from happiness. hd00:28A man wearing glasses while driving. 4k00:30Male businessman rejoices in the good deal sing and dance in the car. The white business class. 4k00:22Cute little girl in a cafe with her dad playing on tablet computer.